This game could have gone in two very different ways. With both happy with a draw, it could have been slow, boring and about both teams avoiding injuries. However, there was a sense both wanted to put on a show, having been underwhelming in their opening two matches, and therefore it was open and entertaining. With two goals inside the first five minutes, it was immediately an enjoyable contest. 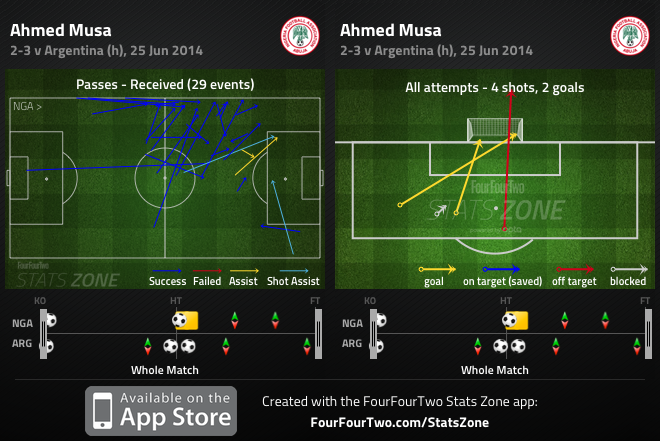 Nigeria’s main tactic was to track Lionel Messi extremely tightly. Ogenyi Onazi was usually the man with this responsibility, although sometimes Messi was passed on to the other two midfielders when he drifted around the pitch. It might sound silly considering Messi scored twice, but Nigeria actually kept him relatively quiet – his goals came from a rebound falling fortunately to him (although, of course, the ball falls to Messi in so many of those situations that it’s not merely fortune) and then from a beautifully flighted free-kick. The main talking point, from an Argentine point of view, was Aguero’s departure through injury, with Ezequiel Lavezzi on in his place. Lavezzi is immensely frustrating, with a great burst of pace but little end product, but he might be better for the system. Argentina seemed more balanced after his introduction, and he offered more variety to the Argentine attack. Alejandro Sabella has always attempted to include Aguero, because he’s such a fantastic individual, but he’s yet to sparkle in this World Cup and always has Higuain – or Messi – in his zone. Lavezzi has the Pedro Rodriguez-esque quality of making good, selfless runs, which could be a better option in the knockout stages. With Messi nullified surprisingly well, Angel Di Maria was arguably Argentina’s most dangerous player. 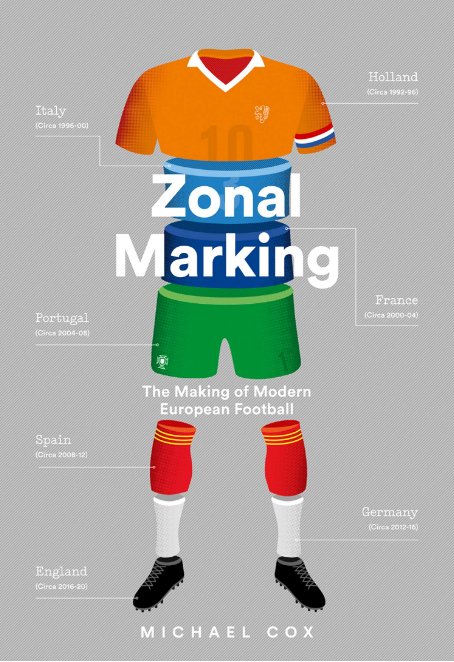 Nigeria didn’t really know how to track him, and there was so much space for Di Maria towards the left of the pitch – Onazi was dealing with Messi and Peter Odemwingie with Marcos Rojo, while Efe Ambrose got himself into some very strange positions, often too tight to his centre-backs. 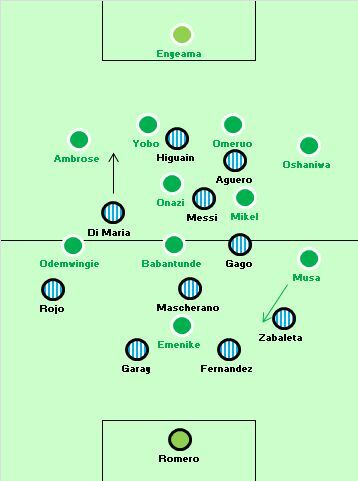 For Messi’s opener, for example, Di Maria simply sprinted down the outside and received a good pass from Mascherano – Nigeria’s defence was opened up completely with one straight pass. The only other interesting feature of the game (which gradually became less intense, probably as the situation in the other game became clear) was Ahmed Musa’s battle with Pablo Zabaleta. Musa is Nigeria’s best player, capable of a stunning turn of speed with and without the ball, and he caused Zabaleta real problems throughout. 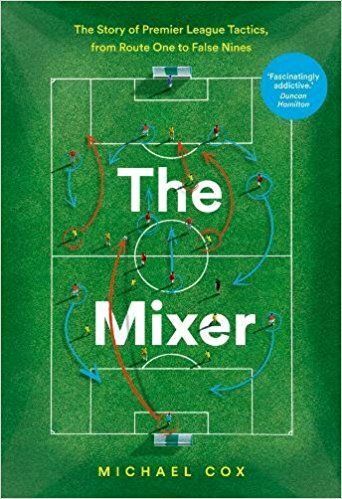 The Manchester City player likes getting tight to opponents, but isn’t good at recovering his position if he’s spun, and Musa had the measure of him. His two goals weren’t actually the best examples of his superiority in this battle, although they were both excellent finishes. 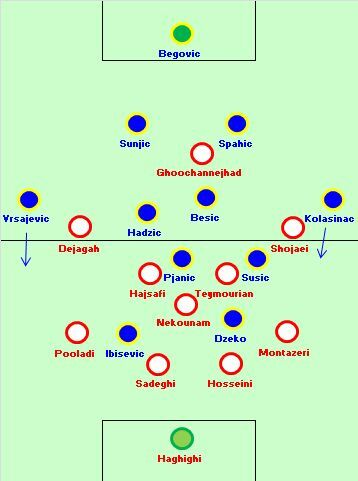 Little to discuss – Iran needed to be more open and adventurous in their previous games, but again started very defensively, with Carlos Queiroz presumably hoping to get to half-time at 0-0, then progress up the pitch more – as Iran had done so successfully against Argentina. But the performance felt a little conflicted, with Iran losing the defensive solidity they’d boasted in their previous two games (only being opened up by Messi’s brilliant late goal) without introducing an attacking threat. They were frustratingly passive at 1-0 down, with both sides sitting in their own halves and waiting for opposition moves to break down, rather than pressing higher up. There’s always a strange atmosphere at matches between two sides waiting for their elimination to be confirmed, but at least both sides had something of a consolation. Iran got their goal, becoming the 32nd and final side to score at this tournament (the first time that’s happened since 1998) while Bosnia recorded their first-ever World Cup win. The tactical battle, though, was irrelevant to the remainder of the tournament. Honduras’ previous game against Ecuador was the most tactically basic contest of the tournament, because both sides were using 4-4-2 formations, hitting the ball long, and crossing from the flanks repeatedly. This wasn’t entirely different. 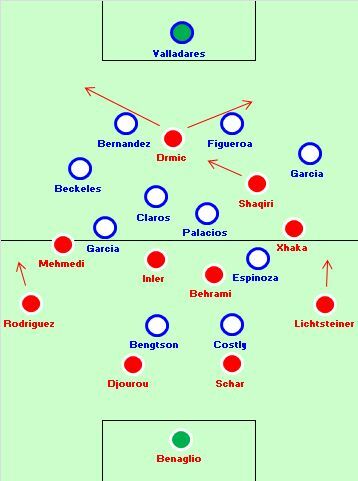 Switzerland’s formation would more commonly be called a 4-2-3-1, and there was a variation from their previous two starting line-ups here, because Xherdan Shaqiri started just behind Josip Drmic, with Granit Xhaka fielded on the right, rather than as a number ten. That was a switch that happened midway through the 5-2 thrashing at the hands of the France, although happened too late to change anything. Shaqiri is an attacking midfielder, but he stayed high up the pitch and looked to combine with Drmic, while Switzerland sat back and defended in two lines of four. Therefore, for long periods this looked like 4-4-2 v 4-4-2. Both sides’ approach involved hitting the forwards quickly. Honduras elected to play long balls to Carlo Costly and Jerry Bengtson rather than go down the flanks, and this made sense considering how uncomfortable the Swiss centre-backs appeared against France. Here, Fabian Schar came in for Philippe Senderos, but Johan Djourou still looked nervous when dealing with long balls. With the Swiss full-backs pushing up the pitch – albeit not as carelessly as against France – they were exposed 2 v 2 at the back. Honduras struggled to create clear goalscoring chances, although Djourou was very fortunate not to concede a penalty in the second half, when caught under a long ball and tugging back Bengtson. The real story was at the other end, however, and this was nothing short of the best ’strike duo’ performance of the tournament so far. Shaqiri grabbed the headlines with three goals, including an absolutely stunning opener. But Drmic was equally good, with his intelligent runs creating space for Shaqiri, and his clever passing creating chances. It’s tough to explain how well these two combined – it was an absolute joy to watch. This was obvious from an early stage. Drmic never positioned himself between the centre-backs, but always made runs on the outside, between a centre-back and a full-back. They were repeatedly pulled out of position and Shaqiri positioned himself intelligently to receive passes between the lines. On 20 minutes there was a great example – Stephane Lichtsteiner chipped the ball into Drmic, who chested back for Shaqiri – he had a great shooting opportunity, but pulled his shot wide. 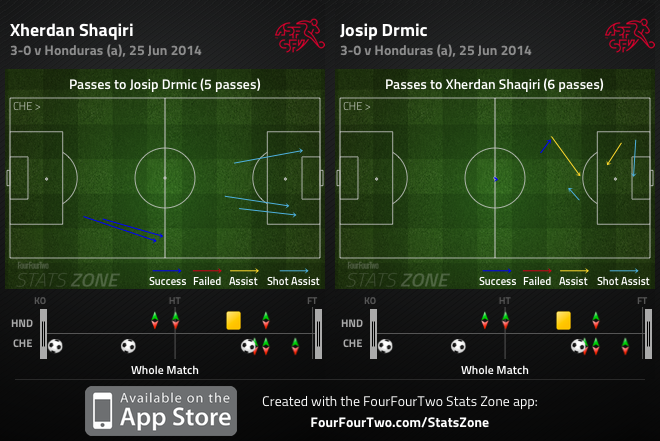 Sometimes the reverse passing move happened – Shaqiri found space between the lines, Drmic ran in behind the defence. That was the case on 42 minutes, when Shaqiri slipped a lovely ball through the defence, creating Drmic’s best chance of the game. Drmic was mainly the provider, though. Shaqiri’s first goal was simply individual brilliance, but the second showed the simplicity of the front two’s relationship. Drmic pulled wide to the left to receive a pass on the break, and Shqiri sprinted forward to join him, created a 2 v 1 situation, and finished coolly. Shaqiri completed his hattrick with a similar move to his second goal – Drmic pulling wide, waiting for Shaqiri to support him in the space between the lines, then playing a simple pass to allow him to finish. Shaqiri’s celebration for his third goal showed he understood Drmic’s role – he embraced Drmic, before repeatedly pointing to him, as if suggesting the striker should take equal credit for the hattrick as Shaqiri himself. It was brilliant, unstoppable combination play. It’s difficult to find much to discuss – France were the better side but didn’t really need the victory, so didn’t bust a gut to find a winner in the closing stages. That said, they had plenty of shots, and forced Alexander Dominguez into one of the tournament’s best goalkeeping displays. 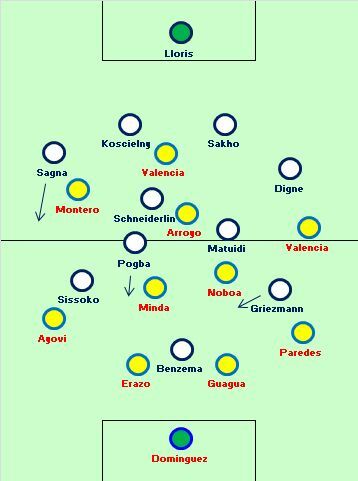 The key feature of France’s game was the narrowness in the final third – Antoine Griezmann always drifted inside, Moussa Sissoko isn’t really a winger, and France missed the intelligent, variable movement of Mathieu Valbuena. Bacary Sagna provided the main width from full-back, overlapping repeatedly and sending in some good crosses, while Paul Pogba provided the verticality from a more central position. Ecuador struggled in terms of possession throughout the game, and after Antonio Valencia’s red card just after half-time, they turned to a very direct strategy which created a couple of half-chances. In all, it was a fairly forgettable game. USA v Germany – all about strategy, rather than tactics. Do old friends Jurgen Klinsmann and Jogi Low arrange a convenient draw? South Korea v Belgium - Belgium are through and will rotate their side, while Korea still have a chance of qualification, but will have to improve. Son’s drifts inside from the left should be crucial. Algeria v Russia – Algeria have shown much more than Russia so far. The bookmakers consider them the outsiders, but they’ve been underrated throughout the tournament. Argentina’s first goal came after 20 passes. I dont understand why Sabella didnt bring in Biglia in the beginning of second half in place of Higuain. Both Kun and Higuain are far away from anywhere near the best and Kun’s injury could be a blessing in disguise. Don’t really get much of this. Well, I mentioned this in the piece. One of the goals was a free-kick – that’s not about Nigeria not dealing with him. Another shot was a free-kick – that’s not about Nigeria not dealing with him. Another was a rebound – that’s not about Nigeria not dealing with him. ZM’s not the only one confused by your statement. I need to ask…. are you making a statement FOR or AGAINST Messi’s performance? You said he had a “stinker”, yet rattled off that “he scored two goals, came close on at least two other occasions, instigated several dangerous attacks, created an abundance of free kicks and played Higuain through on goal twice.” That sounds like praise to me, yet you called his performance a “stinker”? He either played poorly, which lends itself to ZM’s statement that Nigeria “nullified” Messi from open-play, OR he played great but you label it a “stinker”? Who would you rate as Argentina’s most dangerous player if Messi had a stinker and you clearly don’t appreciate Di Maria? Looking ahead I worry for Switzerlands chances against Argentina. Their clear weakness is their CB combination, which against messi and co could be embarrassing. 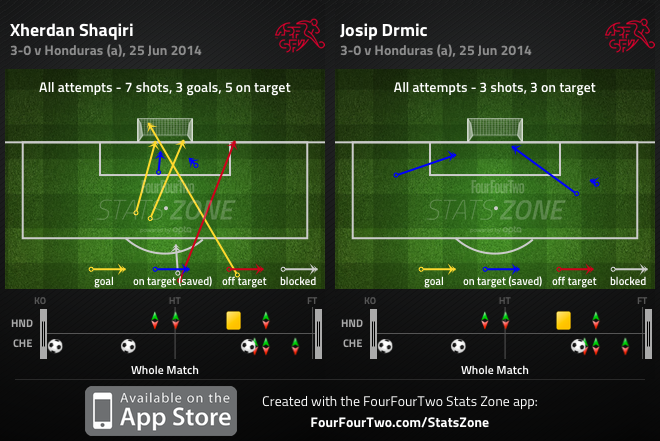 Switzerland are arguably the better all round team, but that clear weakness will probably see them go out. Saying that I think it could be the most entertaining game of the second round, with both teams attacking and a few goals for both sides. I just think Argentina will outscore the swiss. Nigeria against France should be a lot tighter, with the key battle between the French fullbacks and the Nigerian wingers. Will they track them all the way back or stay high up the pitch? Both sides will get chances but I fancy France to be more lethal. I think its fair to say the 3-5-2 or 5-3-2 isn’t a system that Argentina really know how to play and because of the nature of their players it becomes too defensive. On the flipside this pseudo 4-3-3 in my opinion lacks serious balance. Now before the tournament you spoke about the need for Argentina to compensate for their lack of individual quality in defence with superior structure. I completely agree with this. I don’t think they have demonstrated that and I’m really hoping they do because I want them now to win the Cup. Surely only one of Aguero and Higuain should be starting. What about a lopsided 4-4-1-1. Di Maria can still shuttle from the left, but now he has an extra midfielder behind him. Whether that is a more natural right midfielder like Rodriguez or another central midfielder like Banega or Biglia – it doesn’t matter too much. Messi plays as the 1 behind the striker. Now he has complete freedom coupled with defensive protection to operate centrally or from an inside right position. Argentina played this system in a friendly against Italy and completely destroyed us. The reason why I say this is in reality when Argentina lose the ball upfield they are a 4-2-4, with my proposed system there would be an extra midfielder to shuttle out to the flanks to help the full backs when defending counters.